With an estimated 1.96 billion people worldwide on social media, saying the internet is a crowded space is an understatement. This number is expected to grow to 2.5 billion people by the end of 2018, leaving businesses, social media influencers, and those eager to build their brand fighting for exposure. With such staggering numbers, it’s no secret that the struggle for clicks, followers, and likes isn’t always fair. In an effort to increase their exposure, thousands of people are purchasing fake likes and followers online. Though these bots do in fact deliver on what you pay for, it’s not the best move for your brand. Here’s why you should stick to the basics and never turn to buying likes on social media. Likes are available for a dime a dozen. On some websites, users can purchase 10,000 likes for as little as $60. While 10,000 likes, followers, retweets, or comments may seem appealing, these interactions from fake users or “bots” can quickly wreak havoc on your profiles. Though Facebook has a policy in place for fake profiles and inauthentic likes, lots of bots slip through the cracks and work their magic. 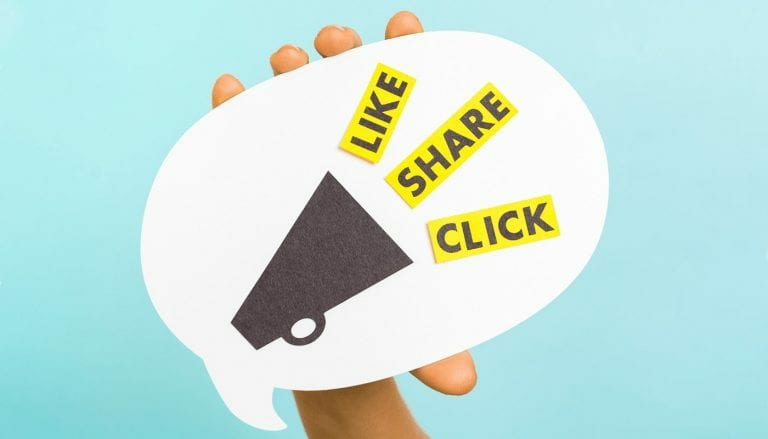 Purchasing likes on a post may send your engagement rate sky-high, but these results are short-lived. For example, if you purchase likes on a particular post, money used for future ads won’t go very far. The money spent on your next ad will reach the same fake profiles you paid for to help you before. With your budget connecting you to phony profiles, your advertising dollars won’t deliver on the results you optimized for because the targeted audience is full of fake users. Once you’ve dabbled in the black-market of social media, it’s nearly impossible for Facebook to recognize who should see your ads. To fix this problem, you’ll need to spend hours sorting through your page to determine who’s real and who’s not. Twitter is also home to thousands of fake users and fallacious interactions including followers, retweets, and likes. Unlike Facebook, Twitter profiles don’t need to be tied to a real person. The platform is designed less for person-to-person connections and more for person-to-brand and brand-to-brand connections, creating more room for illegitimate interactions. Though the consequences of enlisting the help of bots on Twitter aren’t as monetarily-damaging as those on Facebook, purchasing interactions still affects your brand. Genuine Twitter users often turn to the platform to connect with brands and other influencers in a more personal way. If your account is riddled with off-brand retweets or has a severely imbalanced following to follower ratio, legitimate Twitter users will quickly label your account unreliable. Having a bad reputation online will discourage new users from following you, ultimately damaging your brand. Turning to devious websites can grow your follower count within hours, but if you’re caught cutting corners, your brand will inevitably suffer. Like Twitter, your credibility as a brand will significantly decrease as followers question your ethics. Taking a hit to your brand’s honesty can sever ties with existing sponsorships and ensure you lose out on future opportunities. Like many things on the internet, purchasing engagements and creating fake profiles and bots all fall into a “gray” category. These practices aren’t illegal and too often go undetected and unpunished by social platforms. Though there aren’t any concrete consequences to buying your popularity, it’s important to keep your brand’s reputation in mind. A successful influencer who employs honest and ethical advertising will fare much better with peers and fans. The honest alternative requires more time, but the results of your hard work can prove to be more lucrative. If you need help creating an effective social media plan, turn to the experts at Front Porch Solutions. Our team has the know-how and experience to help you grow your name into a successful brand. To begin working with us on something great, get in touch with us for an obligation-free conversation here.